When will be Bosom Buddies next episode air date? Is Bosom Buddies renewed or cancelled? Where to countdown Bosom Buddies air dates? Is Bosom Buddies worth watching? Bosom Buddies follows the adventures of Kip Wilson and Henry Desmond, junior ad-men at Livingston Gentry and Mishkin Advertising Agency. Kip was an illustrator, but aspired to be a painter, and Henry, a copywriter and aspiring novelist. When their building is demolished, they dress as women to stay with co-worker Amy Cassidy in her apartment at the Susan B. Anthony Hotel, where men are forbidden anywhere above the lobby. Kip and Henry decide to invent alter egos Buffy and Hildegarde (their fictional sisters) to move into an empty (and cheap) apartment at the hotel; Henry, to write an expose about the experience, and Kip, to get closer to Amy's beautiful roommate, Sonny Lumet, nurse, and part-time dancer. 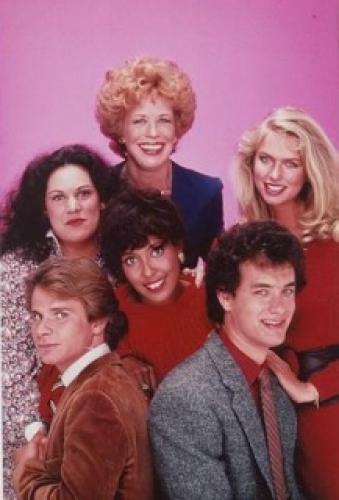 Bosom Buddies next episode air date provides TVMaze for you. EpisoDate.com is your TV show guide to Countdown Bosom Buddies Episode Air Dates and to stay in touch with Bosom Buddies next episode Air Date and your others favorite TV Shows. Add the shows you like to a "Watchlist" and let the site take it from there.